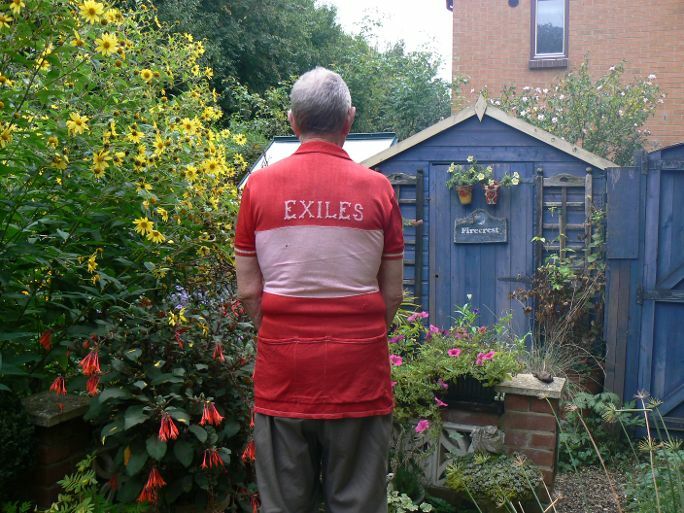 The old Exiles shirt still fits !
" 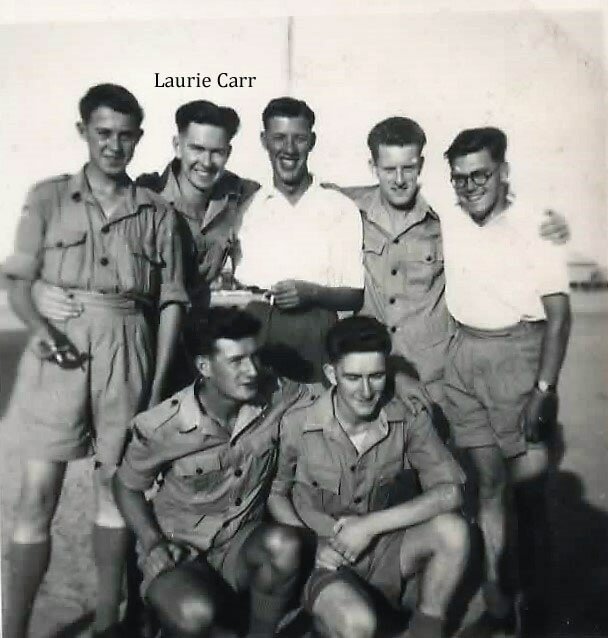 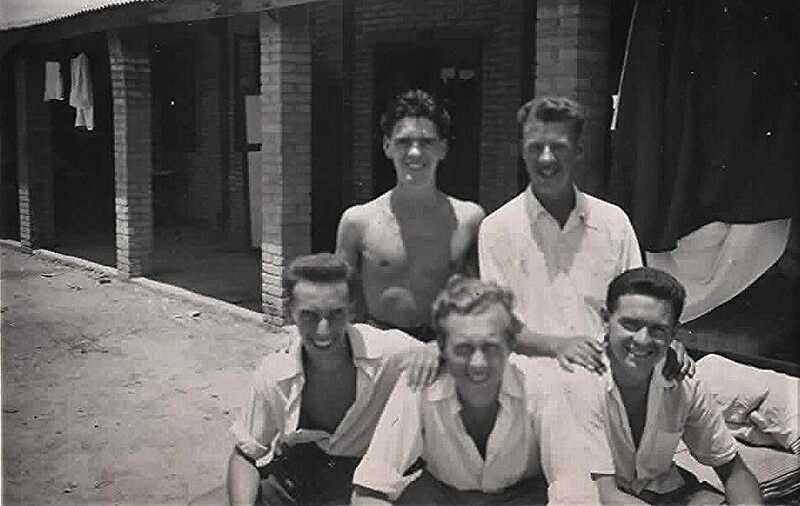 Arthur Lawrence Carr, known as ` Laurie (Butch) Carr `, was posted to 107 MU at RAF Kasfareet direct from square-bashing in March 1953 and served until 28th September 1955 before a short spell in the UK and then demob. 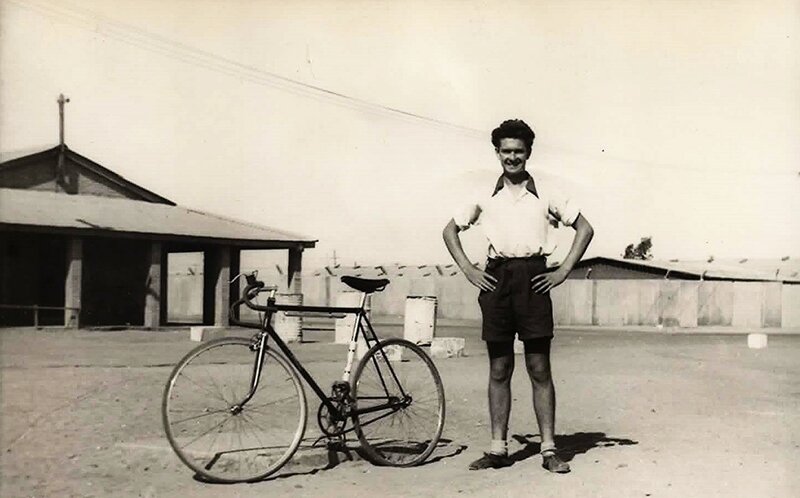 On arrrival at Kasfareet he was allocated a bed space in Billet 2 and started work in Prov 1, the Aircraft Spares section of No 2 Wing PSCO. 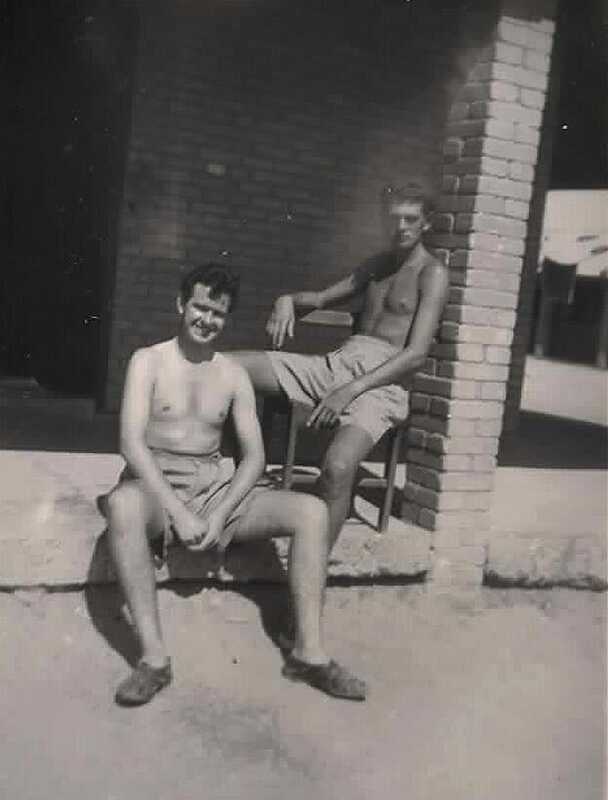 After a short period of time working there and because of his job as a Butcher before enlistment, he was transferred to the Airmens` Mess. 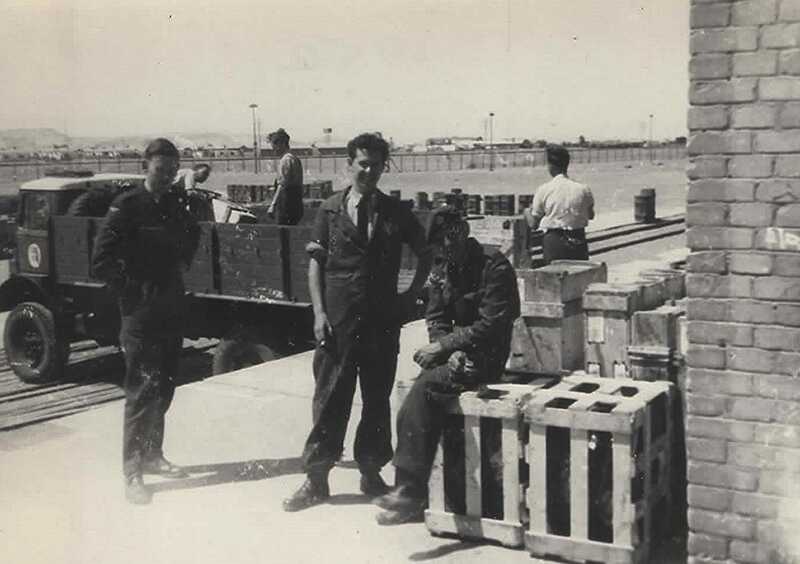 From there he was then transferred to work in the AOG Bond ( Aircraft on Ground ) section, No 1 Equipment Wing which worked 24/7 in the urgent supply of aircraft spares to all airfields in the Middle East. 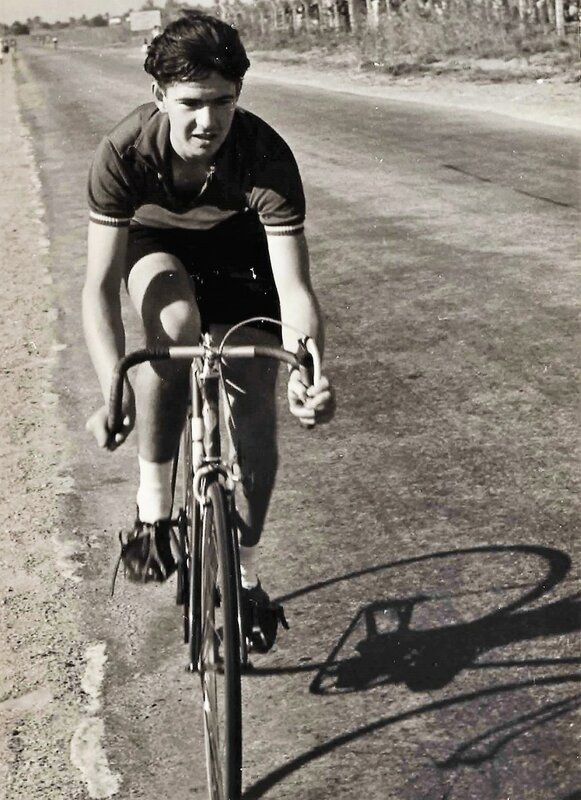 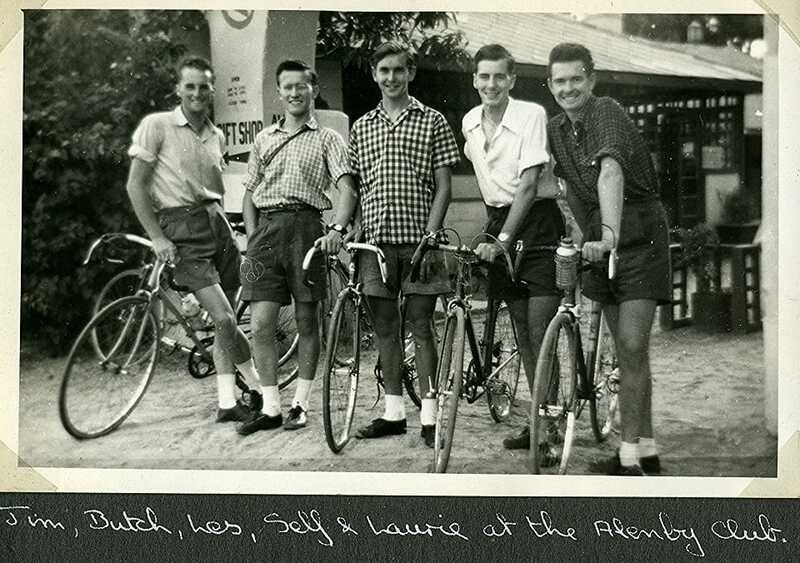 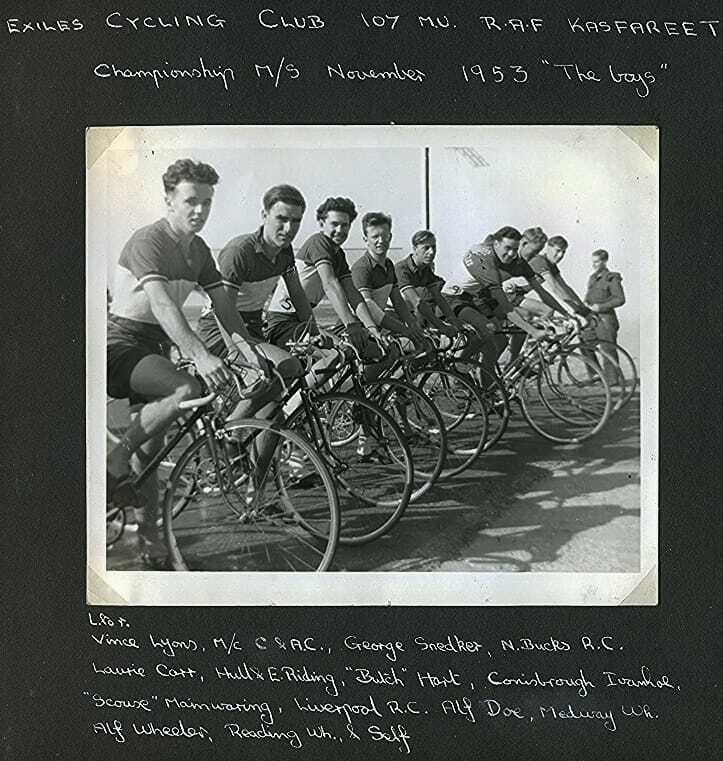 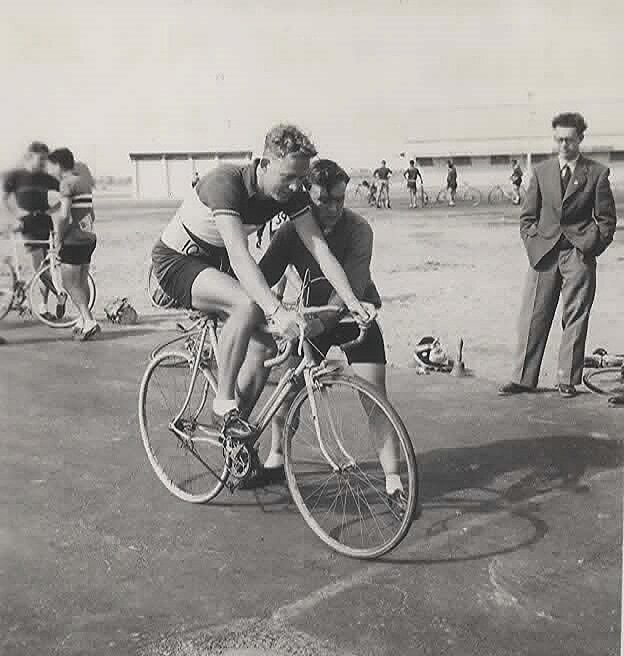 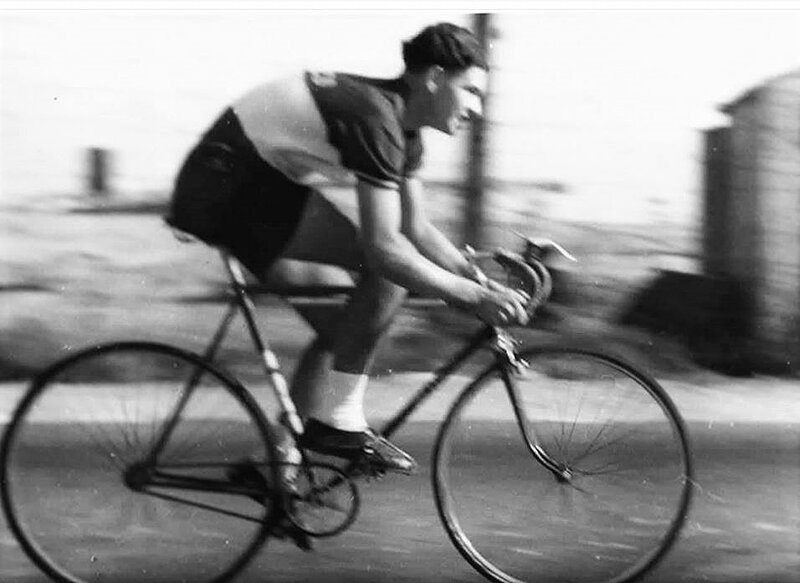 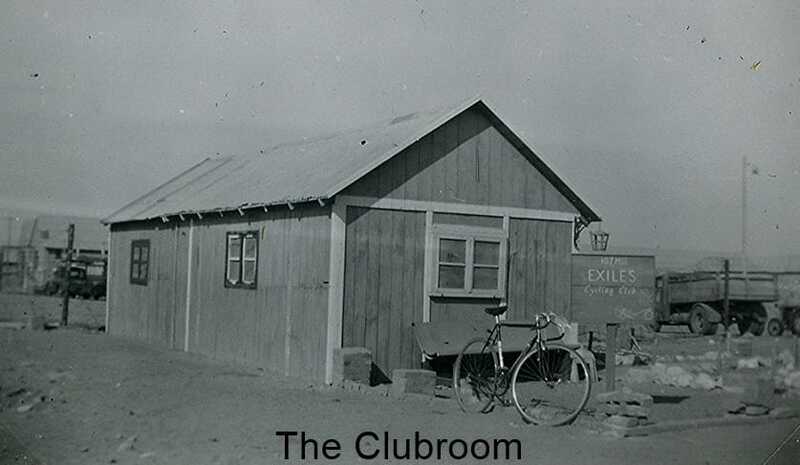 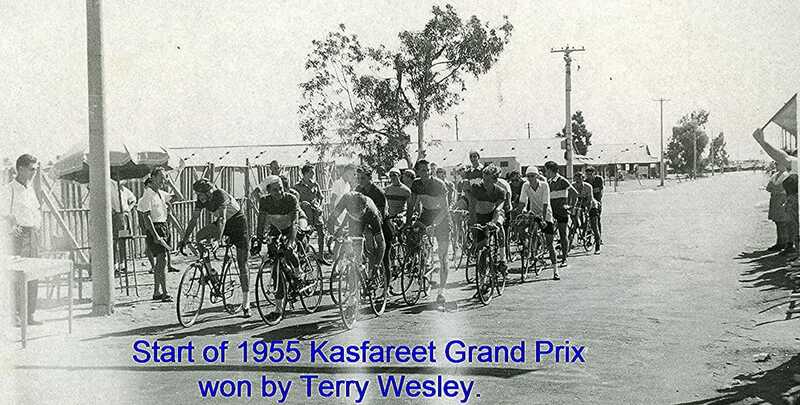 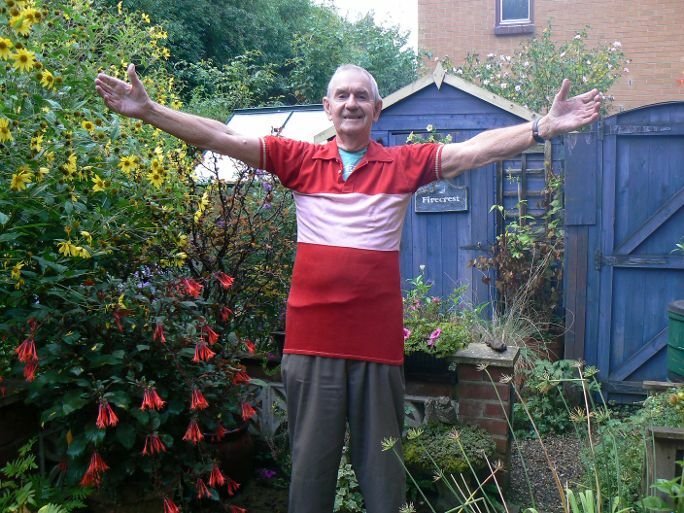 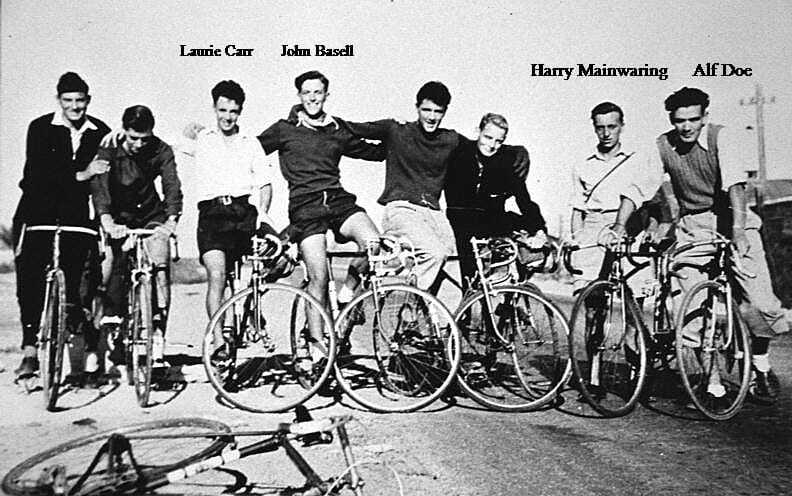 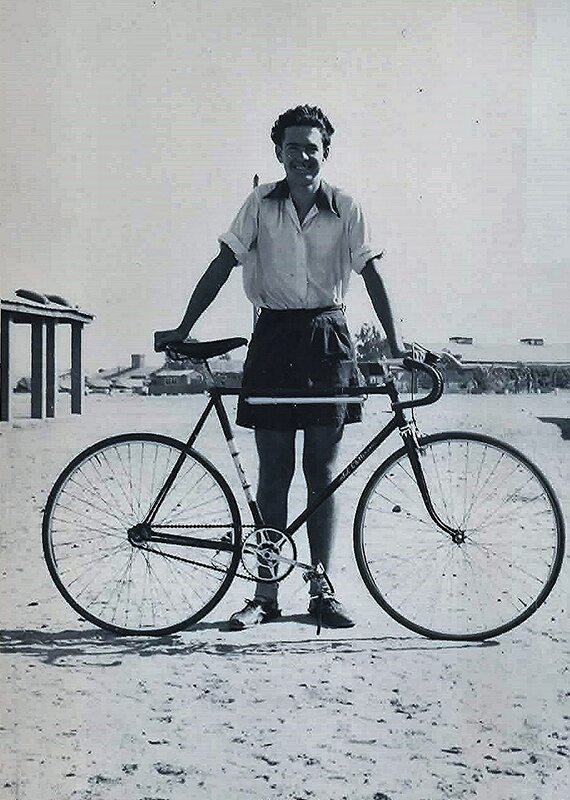 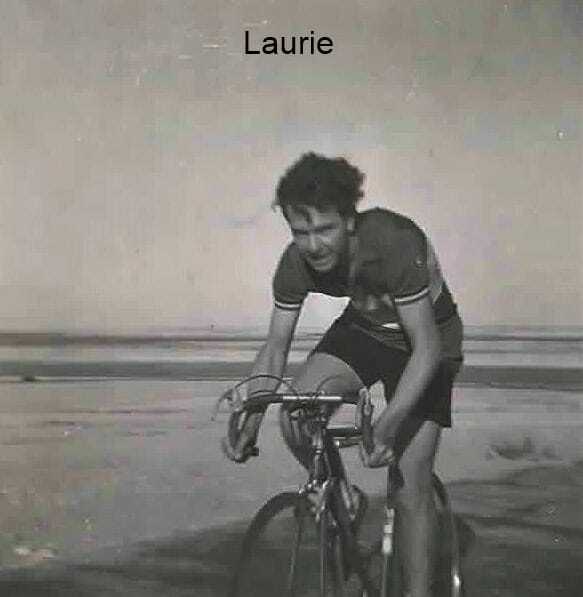 During all this time, Laurie became an active member of the Kasfareet Exiles Cycling Club and recently after sixty one years, managed to make contact again with John Basell who organises the Exiles Club activities and their regular meetings during each year. 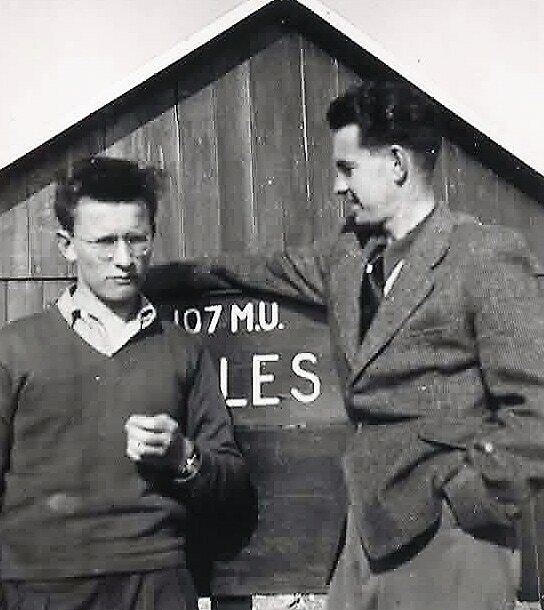 Above, Laurie centre on the ramp at AOG Bond. 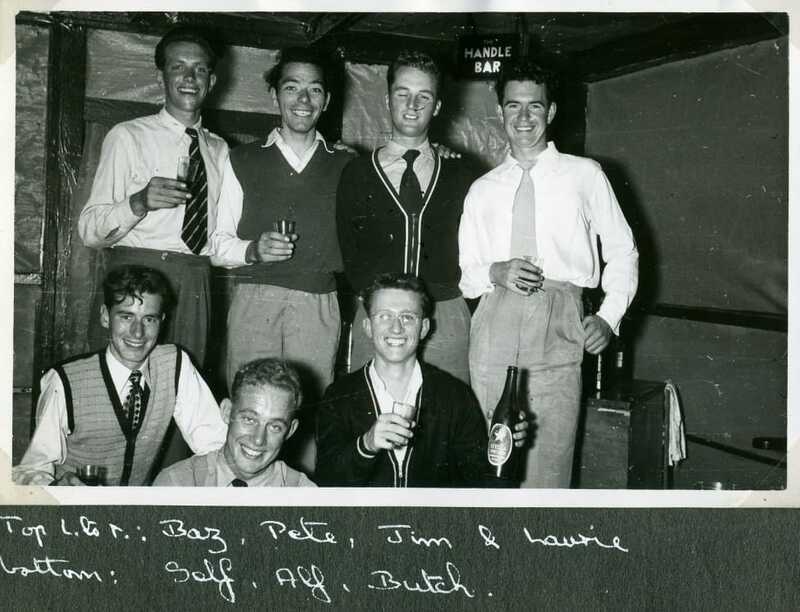 ps - Jack Garry thinks that the WRAF Officer is F/O Webb. 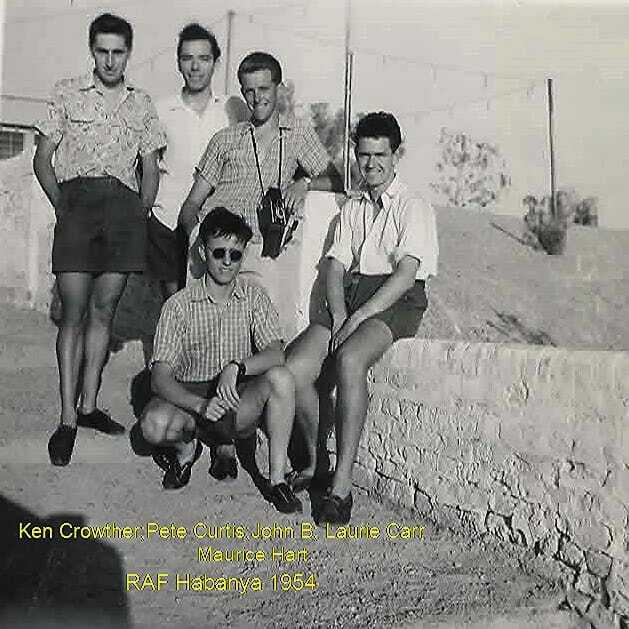 The WRAF Officer who bollacked him for being asleep on GhostPatrol ! 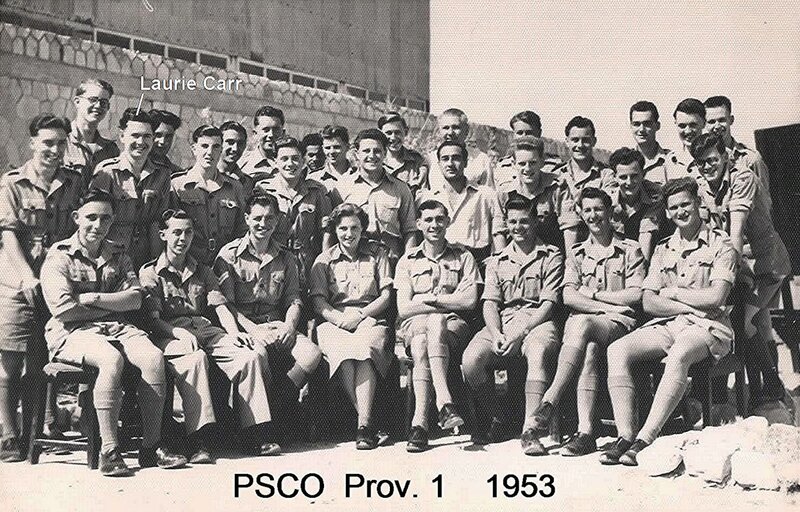 ​She was having an affair with the Ghost Patrol Duty Officer - also PSCO !! 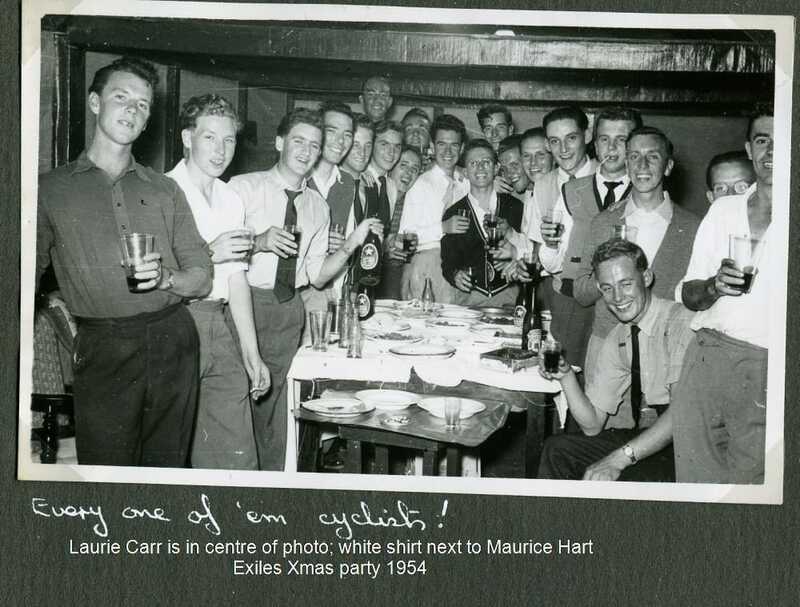 All kept very quiet !!! 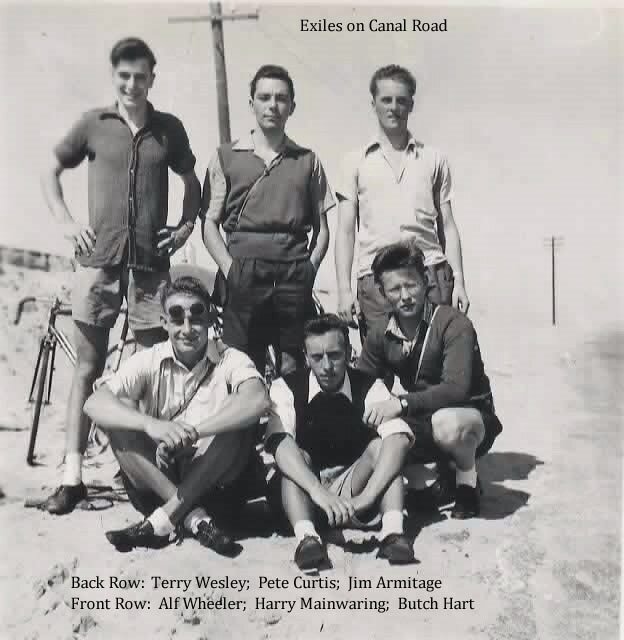 Alwyn ps...." These three pics were obviously taken on the same PSCO Cairo trip that I also went on. 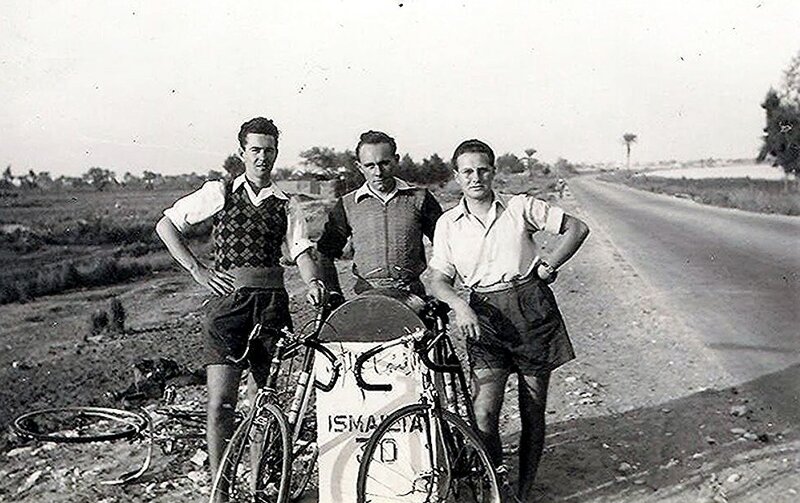 Look on my pics of the same trip on My Pictures and you see these guys waiting for the next camel after my mate Roy Whistance. 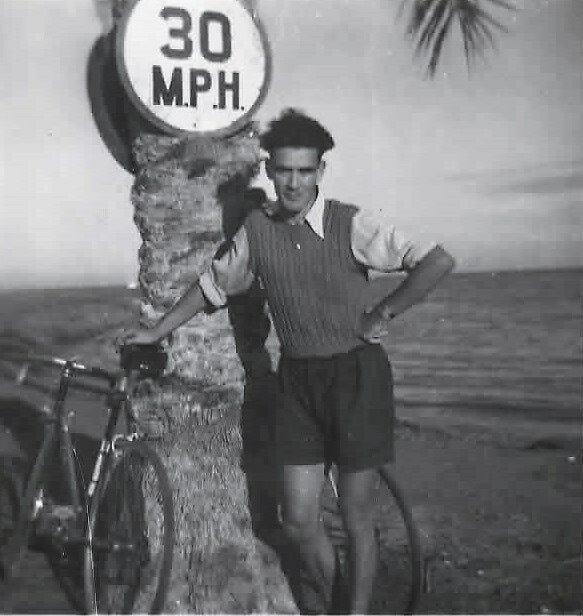 It was a great day out . 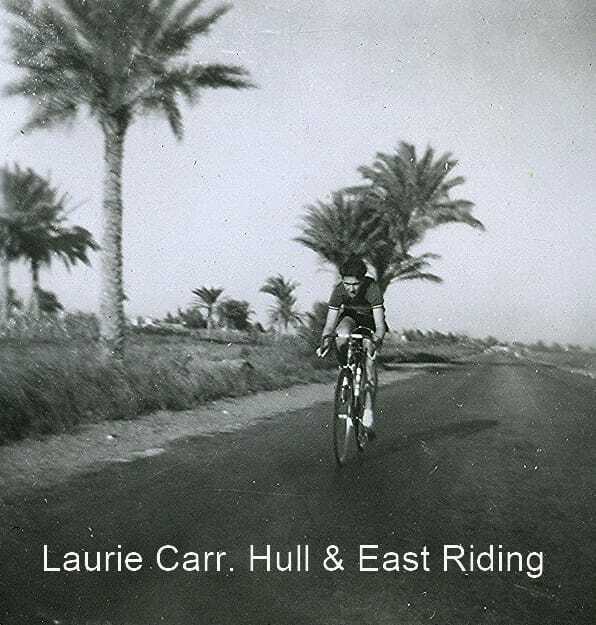 Was the chap on the camel a Taff ?